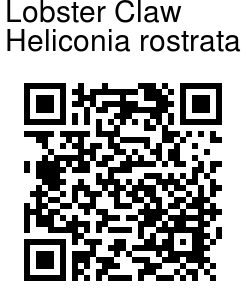 Of all the Heliconias around you will probably be most familiar with this one. Heliconia rostrata is one of the most recognized and widely grown species, but that doesn't take away from the fact that it is still considered one of the most beautiful. 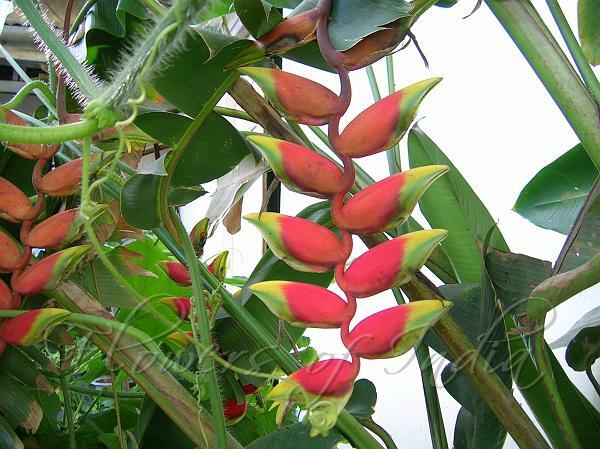 Heliconia rostrata has a pendent inflorescence, the bracts are red with greenish yellow edges. Each bract resembles a lobster's claw, hence the common name. It is a very popular species, and one of the more common in cultivation. The inconspicuous yellow flowers emerge from claw-shaped bracts on magnificent, up to 3 feet long, pendent, zigzagged inflorescences. The leaves are simple, alternate, long-stalked, and have green, lanceshaped leaf blades that are easily shredded by the wind. The pseudostems (formed by the leaf sheaths) emerge from underground rhizomes. The mature plant normally starts to flower in the summer. The flowers last a long time and make an excellent cut flower. .